So even though we’ve (well he has) been here eight months, I haven’t really been to any of the markets. For a while, I was favoring the INSANE malls here and streets like Hongik or Myeongdong (my FAVORITE) and we never really went to any markets. 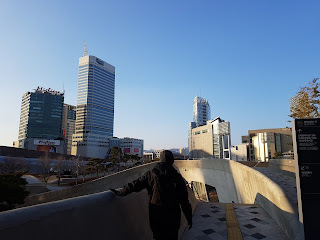 The other day I was feeling like I just wanted to go out in Seoul and just go somewhere and explore and see what we came across. 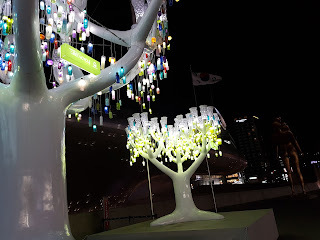 I felt like we haven’t explored Seoul in a while because we had to deal with car issue and other life things. 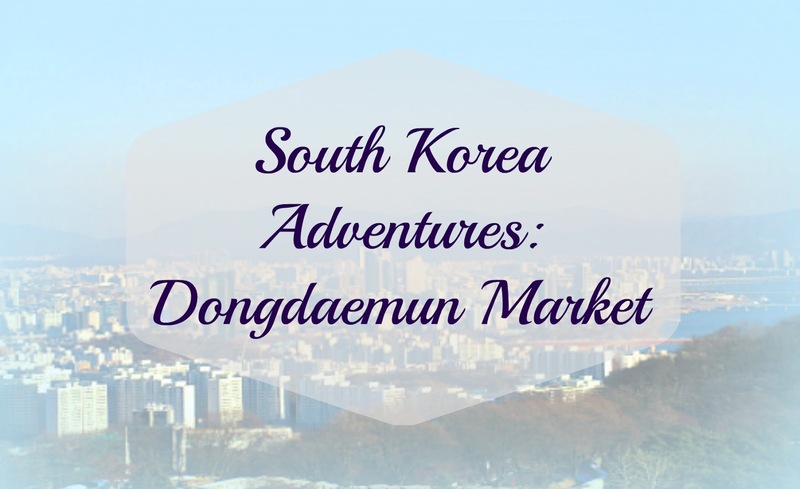 For this exploration, we went to Dongdaemun Market. 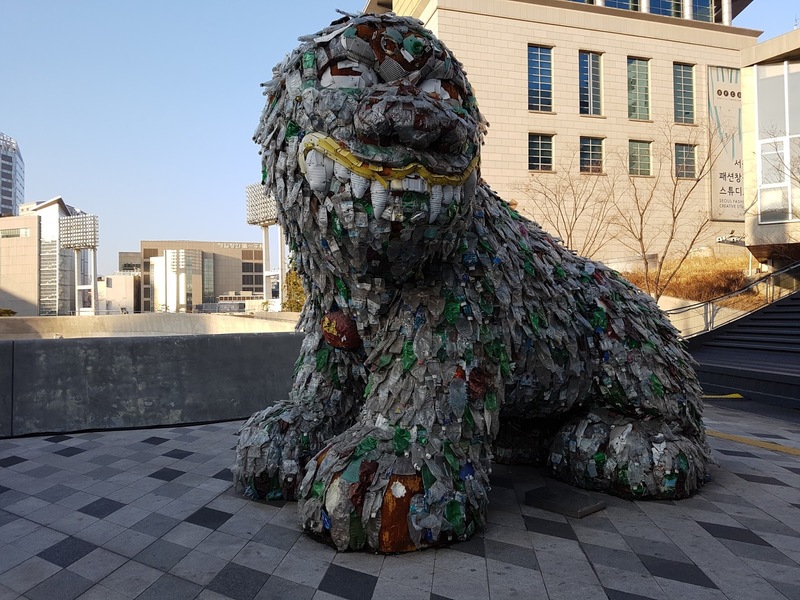 We first got off the subway exit for “Dongdaemun History and Culture Park,” where there was a museum, design gallery, and lots of interesting art scattered around the area. 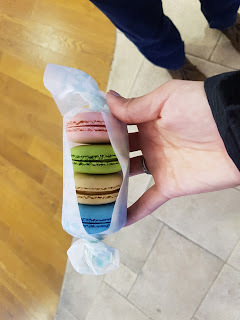 It was here that we found a little café that sold the best macaroons that we’ve had since being here and they’re sold at most cafés so we’ve had many. We also walked around the area near the museum; unfortunately, the museum and design plaza were closed; but we did get to see some interesting artwork that was displayed outside. We had plans to go to a Korean restaurant and eat, but then we found street food. 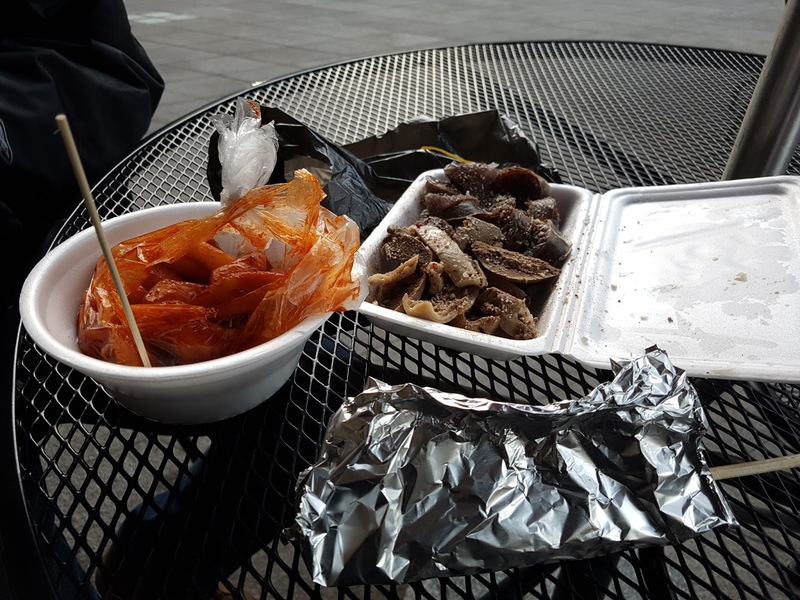 Every time we go out and plan to actually eat at a restaurant, we end up eating street food. It’s just so good and so cheap! So we first got crepes with Nutella, banana’s, strawberries, and frosted flakes for 3,000 won each and they were so good! 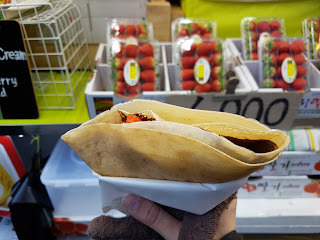 I love the street food crepes. Then I got tteokbokki, which are rice cakes in a spicy tomato-y sauce. They’re so good but so spicy. Mark got Sun-dae, which is stuffed pig intestine with a side of liver, heart, and lung (ick), and then we shared this crab meat on a stick and it was wrapped in something dough-y, and topped with mustard and ketchup (I think) and that was super good. 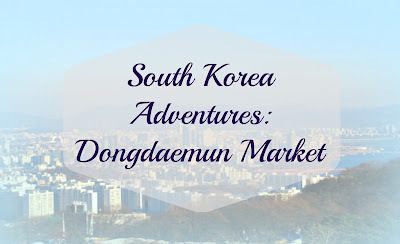 After exploring this area a little, we got back on the subway and rode one stop to “Dongdaemun.” This is where the actual market area was. 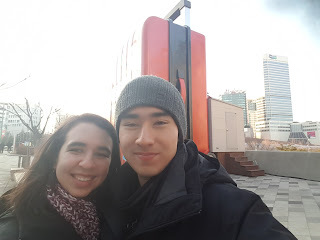 We exited the subway and just started walking. At first, we saw a fortress wall in the middle of the area which was really interesting. Then we just walked and we happened down the street that was all hiking and outdoorsy clothing. There was so many! It was crazy the number of stores that sold the exact same thing. 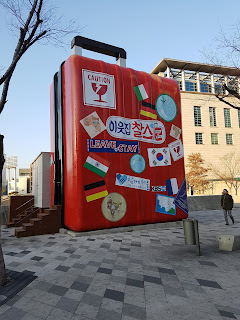 Then I saw a sign for the Pyounghwa Fashion Plaza. So we went in and it was a little late and a lot of the shops were closing so we only walked the first floor, but it was CRAZY! Like this was what I had pictured shopping in Korea would be like, especially because before moving here, we were told: “Korea is so cheap!” But when you go out in town, like Myeongdong, it's expensive! 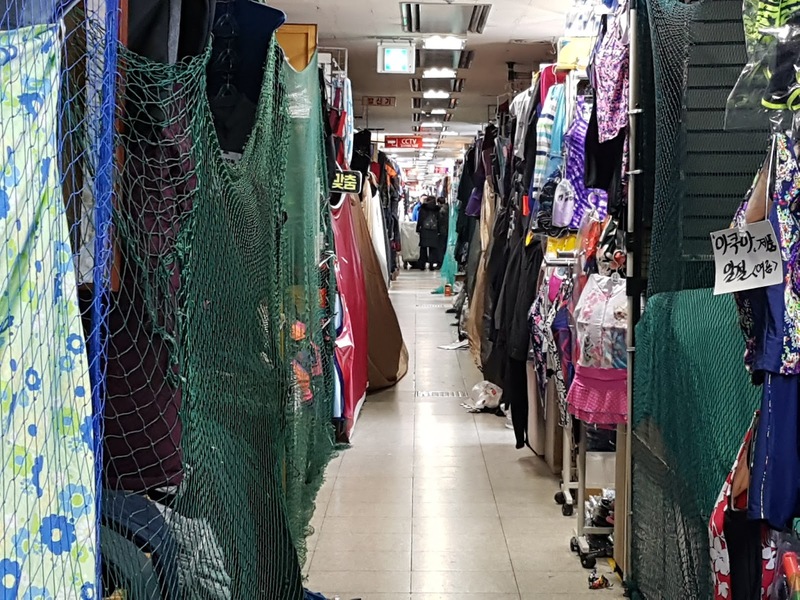 So seeing an actual market where it’s just shops upon shops upon shops of cheap clothing and cheap products was just crazy. 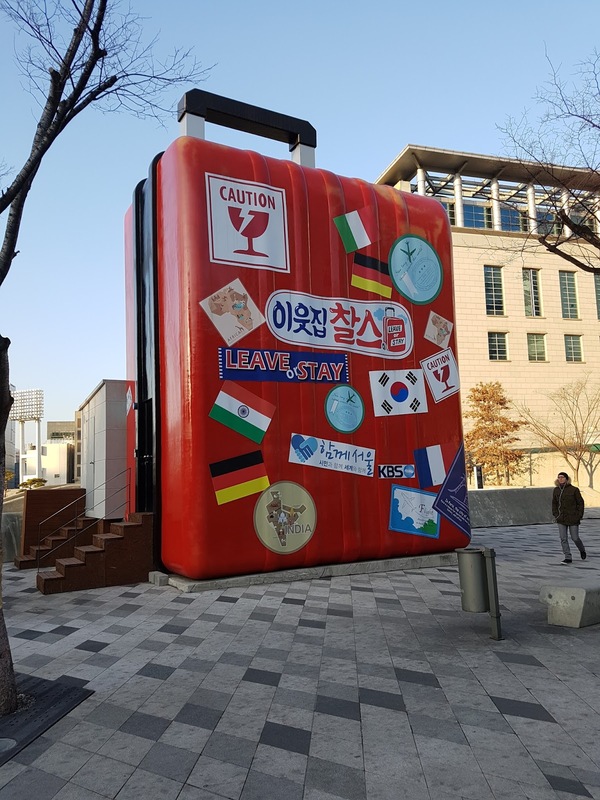 I feeling like actually shopping there would be difficult because it seems like a place you haggle, and not only do I not haggle in English, I only know a couple words in Korean so I definitely can’t haggle in Korean. 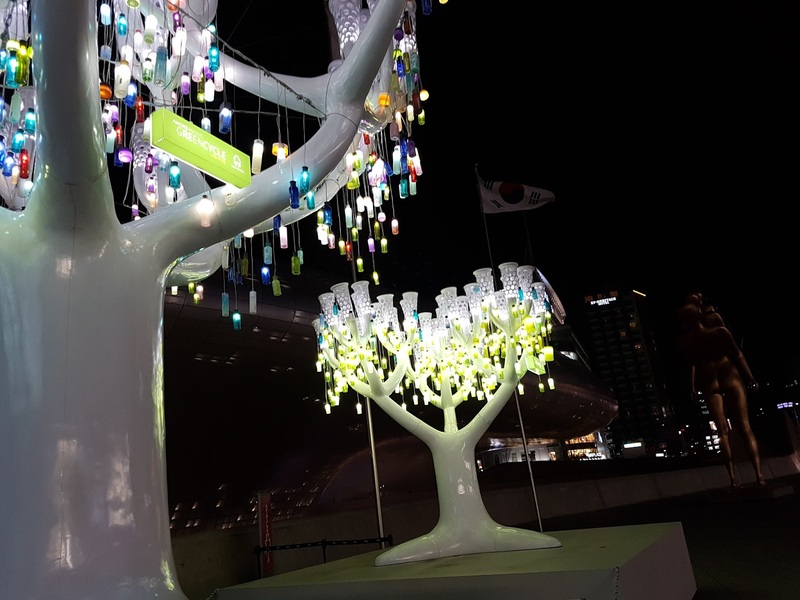 At the end of the night, we went back to the history and culture park so that we could see the LED rose garden and the bottle tree at night, lit up in all their glory. It was worth the extra walk to see everything lit up so beautifully. 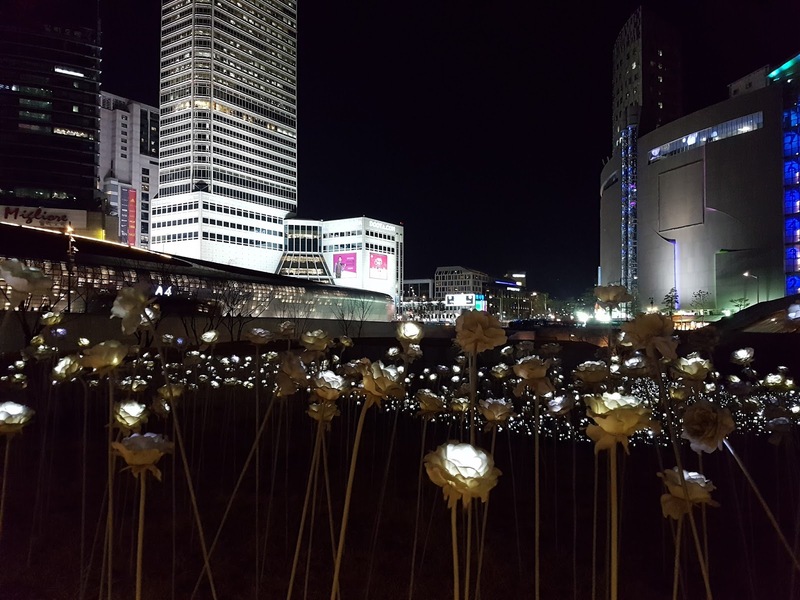 I do recommend checking out Dongdaemun if you want to experience shopping for clothes and other products unlike any other shopping experience. We’re definitely going to go back and check out the museum and the design plaza as well as other areas of the market that we haven't seen. Apparently there's so much more than what we saw.